MUMBAI (March 3): The bearish consensus on the rupee is wrong. That is the view of Mizuho Bank Ltd, which expects an annual gain for the currency for the first time in seven years, as faster economic growth enhances the appeal of Indian assets. The country remains largely insulated from the negative effects of potential US trade policies, the bank’s head of economics and strategy Vishnu Varathan said in an interview. 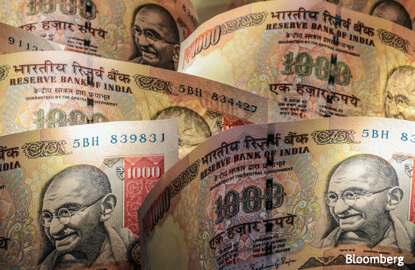 Varathan forecasts the rupee will rise to 65.50 per US dollar by the end of the year, 1.8% stronger than its close on Thursday, helping cap the first annual gain since 2010. That’s one of the most bullish estimates among 37 analysts surveyed by Bloomberg, and compares with a median of 68.90, which implies the currency will weaken 3.2% by Dec 31. The rupee surged 1.8% in February, the biggest gain in 11 months, as foreigners bought Indian assets attracted by the country’s relatively faster growth and higher yields. International investors raised holdings of rupee-denominated bonds by 96 billion rupees (US$1.4 billion), the most in five months, and stocks saw foreign inflows of US$1.6 billion. Varathan’s call on the rupee stands in contrast to a bearish consensus view. That includes RBC Capital Markets, which sees the currency weakening due to broad dollar strength, according to Sue Trinh, head of Asia foreign-exchange strategy in Hong Kong. RBC predicts the rupee to drop to 73 per US dollar by end-2017, however Trinh said she remains ‘constructive’ on the currency in the longer-term. Mizuho says a stronger US dollar impacts the rupee less than currencies of other emerging markets due to India’s lower reliance on trade. Its exports account for 15% of the economy, compared to 41% for South Korea, 69% for Malaysia and 19% for Indonesia. “India has a strong domestic buffer that will lessen the fallout from Trump’s focus on Asia as the main trade imbalance,” Varathan said.